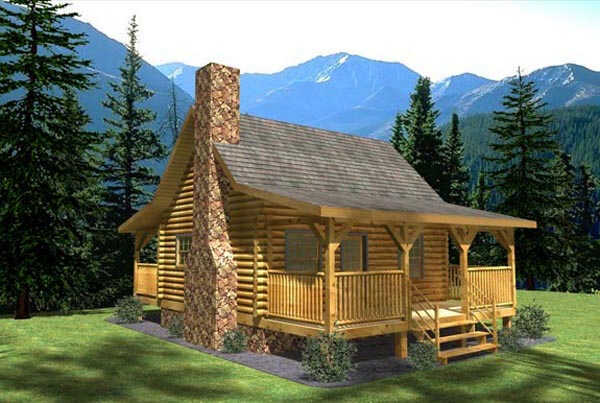 The Monticello Tiny House floor plan can be built in any log style. None of the 624’ SF are wasted. 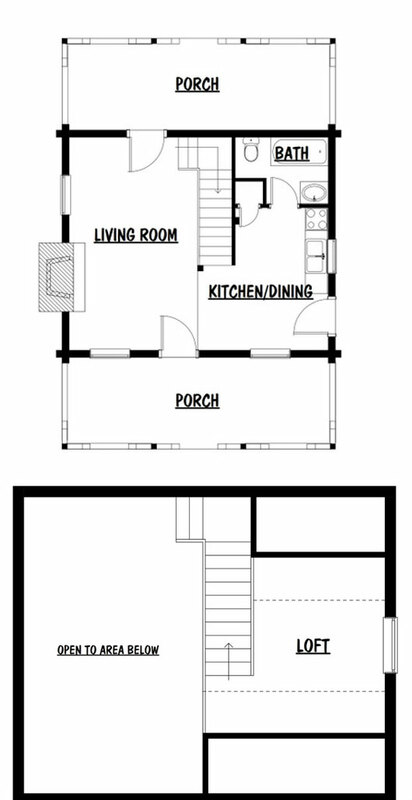 Downstairs there’s a living room, kitchen/dining area and a full bath. Upstairs there’s a sleeping loft. Wide covered front porches on front and back extend the living space to outdoors.